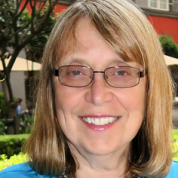 Esther Wojcicki, Distinguished Visiting Scholar at MediaX at Stanford, is the founder of the Palo Alto High School Media Arts Program that focuses empowering students through the use of media (newspaper, magazine, yearbook, websites, video production, photography, radio, & television). The program started in 1984 with an already established (1918) 6 -8 page newspaper and 19 students; it has become the largest media program in the nation with 600+ students and a new 25,000 sq. ft Media Arts Center. She is a 2009 MacArthur Foundation Research Fellow for the Student Journalism 2.0; the 2002 California Teacher of the Year by the California Commission on Teacher Credentialing; the 2011 Charles O’Malley Award recipient from Columbia Scholastic Press. She was awarded an honorary doctorate from Palo Alto University (2013) and has been a speaker at multiple TEDx events. She is also Vice Chair of the board of directors of Creative Commons, the legal support behind the open web.